Chemicals and all other medicinal products have to be dried before they are sold to patients or prior to reaching the marketplace. Usually, these products become wet because of the solvents used during its manufacture. Typically, these solvents can be removed using either a dynamic dryer or a heatable static. Vacuum drying has also become popular in the process. This is advantageous since the products are processed using low temperature. The temperature must always correspond to the solvent’s vapor pressure though. 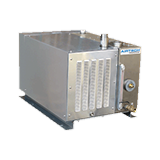 At Airtech Vacuum Incorporated, we have special vacuum pumps that can be installed in drying systems. Vacuum drying is a process where moisture is removed from a substance by creating vacuum. It is a relevant process in a lot of chemical process industries including paper and pulp, textile, agricultural, pharmaceutical, and food. In all of these industries, removing moisture from a substance is very crucial in making sure that high quality products are produced. Vacuum drying creates vacuum to be able to remove moisture in these products by decreasing the pressure at a rate lower than water’s vapor pressure. Vacuum pumps are used in the process in order to reduce pressure around the substance that needs drying. These technologies can significantly increase evaporation while boiling point of water is reduced. The process is considered as a batch operation system and is applicable for use to chemical industries and applications mentioned herein. It can be used to dry hydroscopic as well as toxic materials. It can also be used in any application where dryers cannot handle the batch of components that need drying. Why Choose Airtech Vacuum Incorporated For Drying? Our customers come to us for custom-made vacuum and blower technologies including variable speed blowers, oil-free vacuum pumps, high pressure regenerative blowers, rotary vane pumps, and more. Since 1982, Airtech Vacuum Incorporated has placed customer’s needs on top of its priority thus guaranteeing unparalleled technology to serve varying needs of different industries. This is more than enough reason to buy regenerative blowers and vacuum pumps for drying from us. Do not forget the fact that our systems are easy to install and operate and that our work has been certified by various industry standards namely the CSA, RoHS, CE, UL, and ISO. Our knowledgeable engineers start the entire process by analyzing your unique situation and from there, you get the best pressure-based and vacuum technologies that match your industry’s requirements. 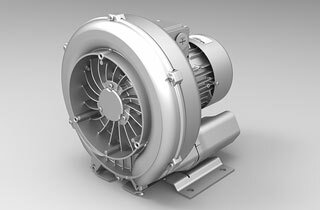 Whether you are in need of a blower with magnetic drive or one that is nickel-plated, Airtech is a name you can trust. Rest assured that your orders are handled with care and that we only produce high quality products at the most competitive rates. Feel what it is like to have the best shopping experience for your drying vacuum and pressure products. Start by browsing through our inventory today!